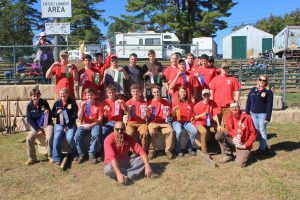 #2 The CBNA Dairy Judging Team after winning third in the state at the 2017 Deerfield Fair. 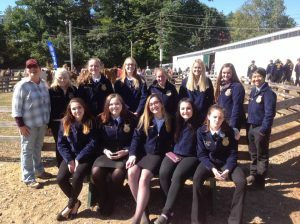 The Coe-Brown Northwood Academy Much-To-Do FFA Chapter had a very successful day at the recent 2017 Deerfield Fair Career Development Event. 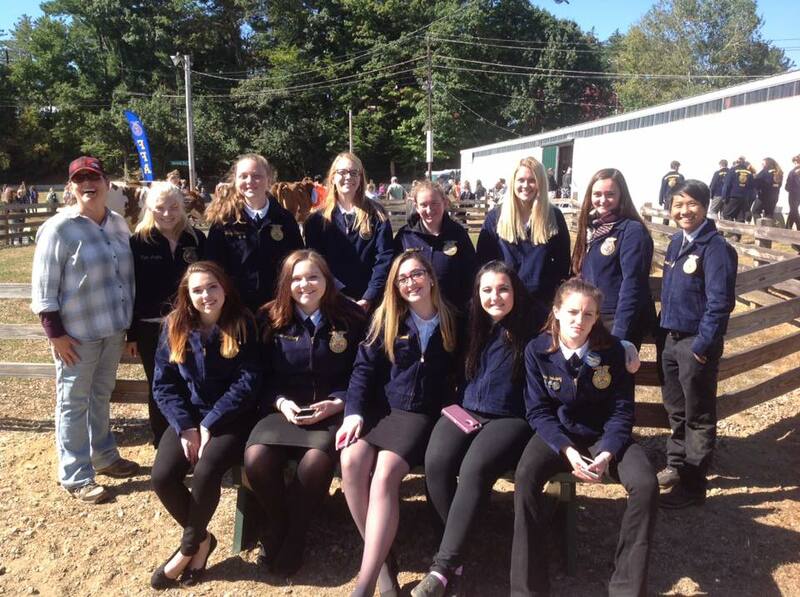 This is an annual event that FFA Chapters from all over New Hampshire attend to compete in areas such as Forestry, Safe Tractor, Floral Design and Dairy Evaluation. The CBNA Forestry team took first place overall with top individual recognitions going to students in the following categories: Cross Cut: First Place: Riley Gadtke, Tyler Millette, Joseph Whiting and Elizabeth Parece; Second Place: Dakota McPhee, Faith Wilson, Jacob McHugh, and Patrick Murray; Third Place: John Renner. Cole Hodgdon, Danny Gallant, and Daydrian Morin. Log Rolling: First Place: John Renner and Cole Hodgdon; Third Place: Ryan Bane and Collin Gollihur. Wood Split: First Place: Luke Belbin. Bow Saw: Second Place: Devin Sullivan and Luke Belbin. Pulp Toss: Third Place: Patrick Murray and Jacob McHugh. The Safe Tractor Team did well with Ben Peverly taking Fourth Place in individual and the team of Peverly, Caleb Rollins and Paul Bane taking Second in the state in that event. The Horticulture Team also did well, with the team of Molly Swansburg and Faith Wilson in Second Place, Anna Prescott-Nichols and Madeleine Lounsbury placing Third and Sarah Jensen and Kennedi Stowell placing Fifth. Rounding out the awards was the Dairy Judging Team of Samantha Schroeder, Eden Yurek, Molly Swansburg, and Ashley Gatchell, which took Third Place in the state. Congratulations to all.